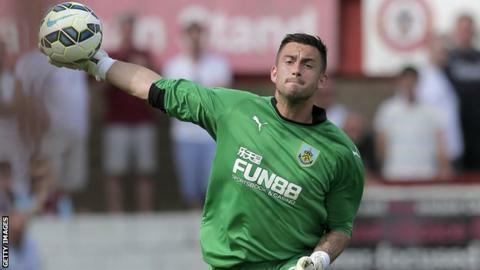 League One strugglers Leyton Orient have signed Burnley goalkeeper Alex Cisak on loan. The 25-year-old Australian, who made 10 appearances during a loan spell at York City earlier this season, will remain with the O's until 9 March. "I'm very happy to be here and want to help the club climb the table," Cisak told the Orient website. "The lads seem a good set of guys. I'm looking forward to getting going and hopefully keeping some clean sheets." Cisak, a former Socceroos youth international, has made two appearances for Burnley since moving to Turf Moor from Oldham in 2013. Meanwhile, forward Ryan Hedges has extended his loan spell from Swansea until the end of the season.